Wanna see what baby Shop-Teacher looked like? There I am on my dad’s Sporty. That’s my mom behind me. In the background is my dad’s ‘79 K10 and my mom’s ‘81 Datsun wagon. There’s a lot of feels here. 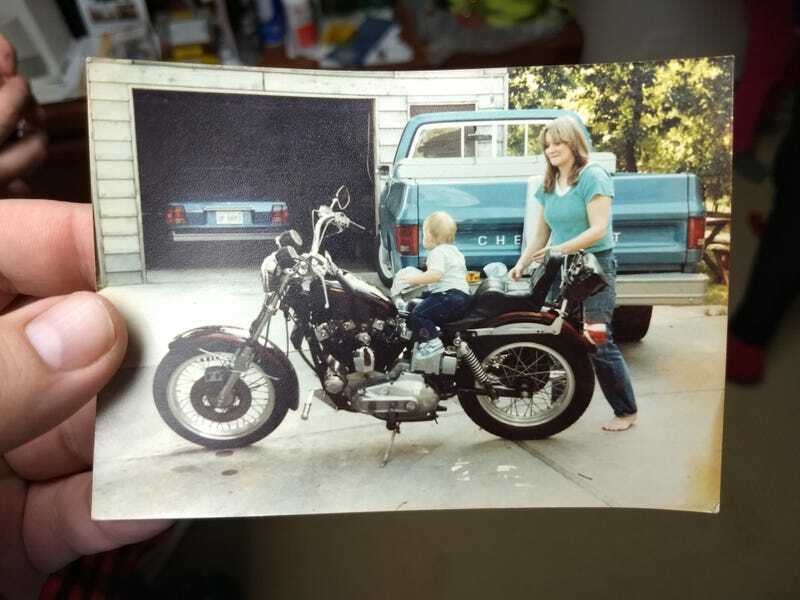 The Sportster was sold in ‘83, to put towards a down payment on the house I grew up in. The Datsun was traded in for a new ‘84 Delta 88 coupe. The K10 was traded for a new ‘88 K1500. I cried when the truck was sold (I was six). Most of all, I miss Mom. I can’t believe she’s already been gone 5-1/2 years.